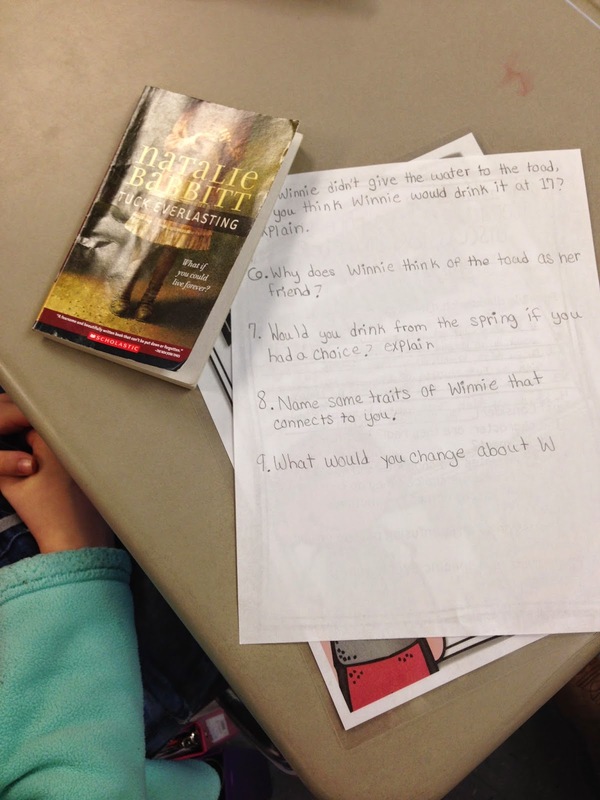 What a great way to handle literature circles! 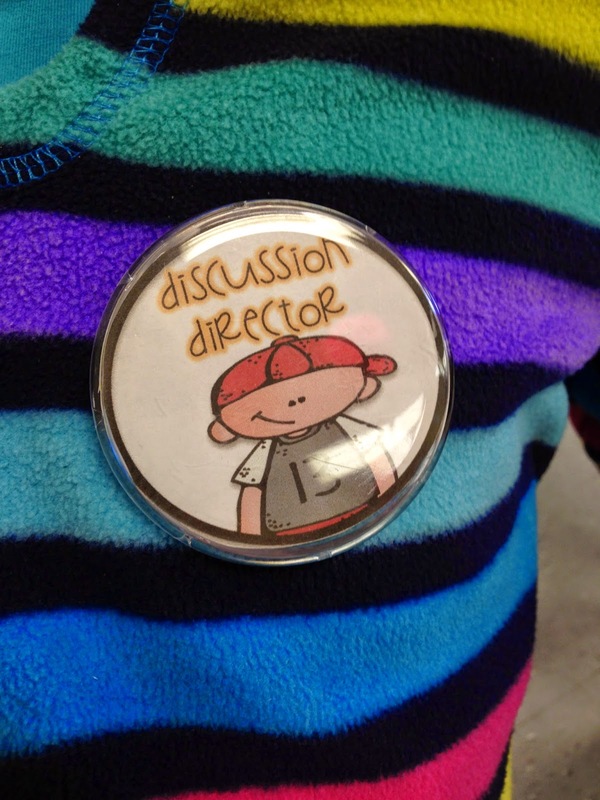 I love how it would hold every student responsible for doing a job. I can't wait to try this in the fall! Thanks for sharing this! 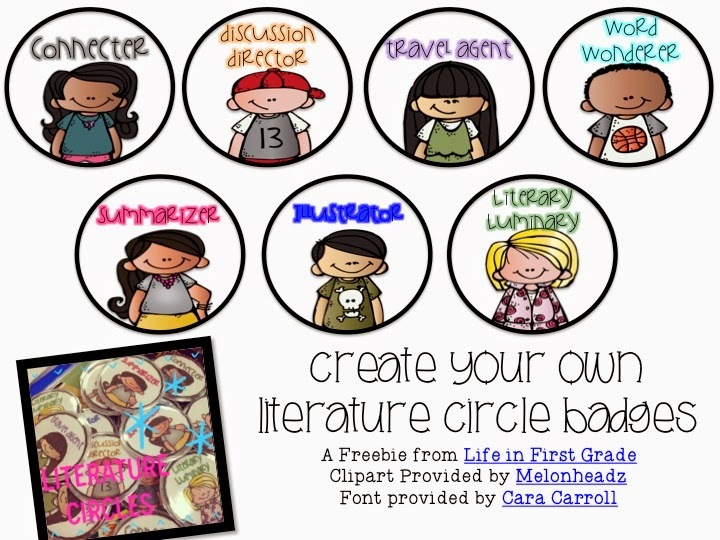 I definitely want to tweak what I've been doing with literature circles for next year! I love this! 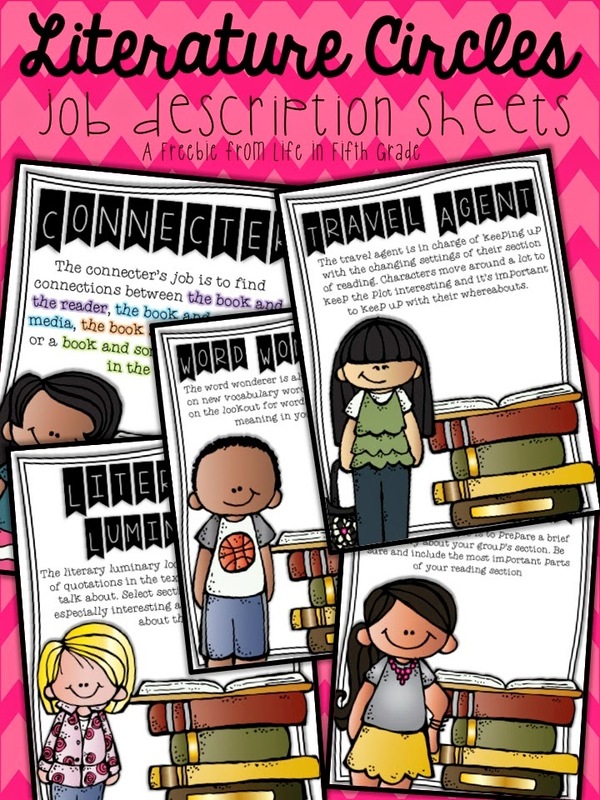 I can't wait to use the job badges and job description sheets with my fourth graders next year. I would love to know where to find the recording sheets that are pictured for each job...can you tell me where I might find them? Thank you so much for sharing these awesome freebies!! I love this! I will definitely be borrowing your idea. I would love to pin this to my boards, but I can't seem to find the 'pin it' button. I love this! 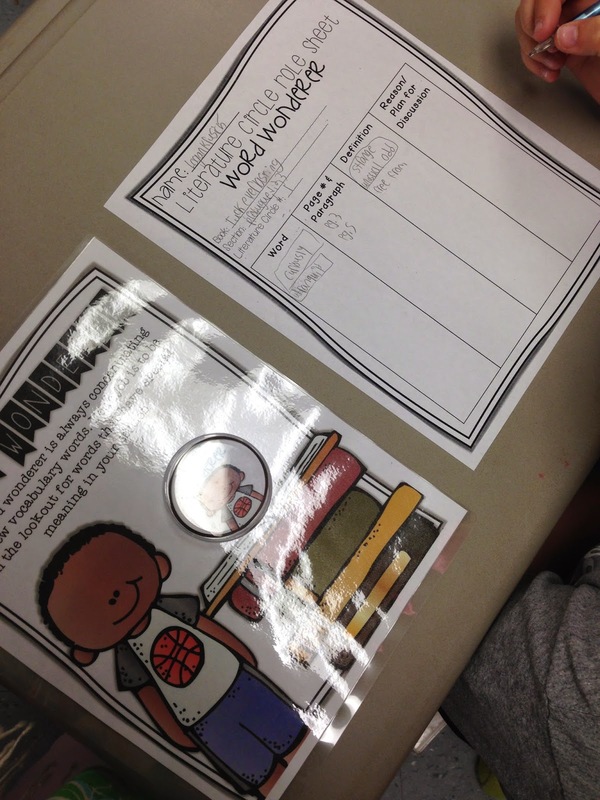 I love the job description sheets, the pins and the recording sheets I see in the pictures! I immediately browsed through your TpT store looking for the recording sheets, but I can't seem to find them. Do you have them available anywhere? Absolutely love this! Do you have the recording sheets as well? Thanks so much! LOOOVEE your blog! I love these! I used lit. circles when I taught high school and wanted to incorporate them on an easier level in my new 5th grade classroom- this is very helpful. 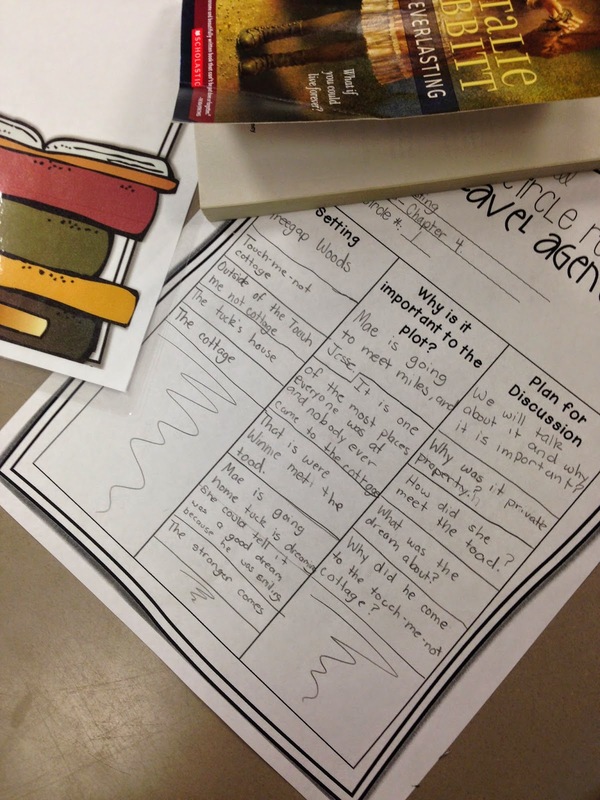 Do you have the recording sheets on your TpT store? I like how they match the description sheets and would want them as a set.